With a wide selection of immaculate, affordable homes for sale in Chandler, AZ, you and your family can now become a part of this thriving, successful community. 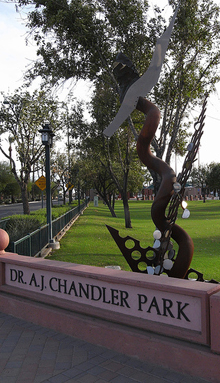 In 2010, Chandler was a finalist in the National Civic League's All America City competition. To reach that level, Chandler had to prove itself is a leader in championing nearly a dozen pressing civic issues. Chandler was undeniably diversifying the labor force, increasing funds to schools, assisting the homeless, serving the needs of the elderly as well as the youth, and despite the tough economic situation, was demonstrating leadership in keeping housing affordable. 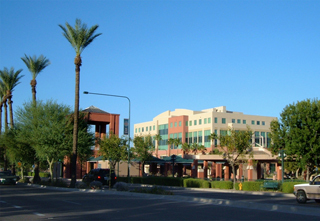 With over 250,000 residents, Chandler is the fourth largest city in the state. Though it had humble beginnings as an agricultural center, Chandler is today one of Arizona's leaders in bringing the high-tech Industries to a place of prominence in the state. We are the most outstanding land features and points of interest for tourists and sightseers, is the awe-inspiring San Tan Mountain Range. The mountains provide the perfect backdrop to a city whose first mayor was a friend to, and business associate of, Frank Lloyd Wright. Just as Wright became famous for his imaginative and futuristic architecture, so is the City Of Chandler both imaginative and impressive in its design, and in its outlook and optimism for the future. Now is the perfect time to find the right home for you and your family in Chandler, Arizona. As the housing market continues to recover, mortgage interest rates will increase. Home values will also start to rise and the opportunities to acquire homes for far less than would have been possible two decades ago will vanish. The collapse of the housing market in 2007 has created a buyer's market and perceptive homebuyers have been able to take advantage of the situation that allows them to acquire more house for less money. Available homes for sale include small starter homes, single-family dwellings, condominiums, manufactured homes, and equestrian property. Chandler is the perfect crossroads between a modern urban center focused on the future, and heritage-conscious community that values and preserves the cowboy tradition of the Old West. The quality of life runs high in Chandler, AZ. Real estate, on the other hand, runs low-at least in price. The available homes are each attractively priced and deliver the maximum comfort, convenience, and charm along with all the modern amenities you come to expect and deserve. Perhaps another telling factor as to why in Chandler was a finalist in the All America City competition, can be found in the old adage that there is nothing more American than mom's apple pie and baseball. Chandler is home to Cactus League Spring Training. If you like, baseball you will love watching 15 teams of highly skilled Cactus League baseball players as they get in shape for the season. 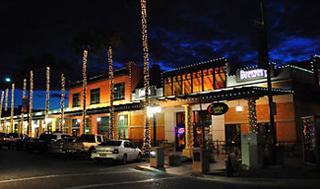 Each year, Chandler hosts a number of festivals and celebrations including the popular Ostrich Festival, and the annual Saint Patrick's Day Festival. Throughout the year, pageantry, good times, and good food are enjoyed by the fun loving residents of this desert community. Shopping is somewhat of a pass time here, thanks to the breathtaking malls such as the Chandler Fashion Center, the Chandler Pavilions, Casa Paloma, and the many shops and boutiques that make up the downtown business district. What better way to end up a long day of festivities and shopping, than with a little five-star dining experience. You can taste a little bit of it all in Chandler as the restaurants here cater to everything from classic American cuisine to that of Japan, Mexico, China, Italy and all points in between. Now is the perfect time to find your dream home and make the move to the charming community of Chandler, Arizona.